I am a Lecturer at the University of Lincoln (U.K.), as part of the School of Computer Science, and the Lincoln Centre for Autonomous Systems. My research interests are primarily Developmental Cognitive Robotics and Social Human-Robot Interaction (between which I feel there are many intriguing overlaps). Previously, I was a Research Fellow at Plymouth University (U.K.). 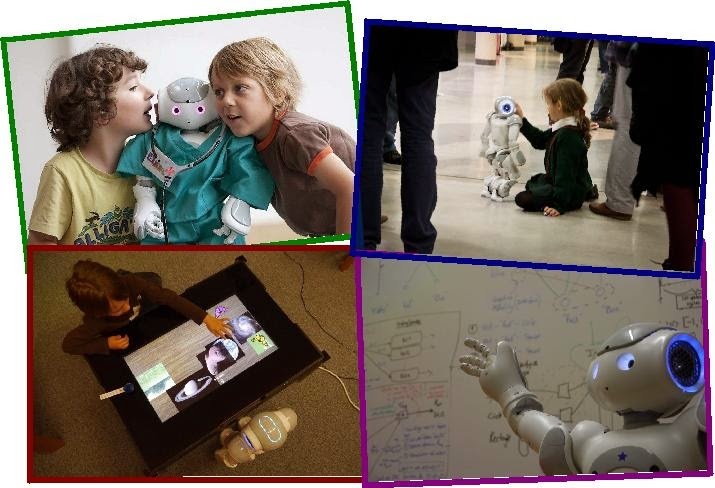 My research at Plymouth was conducted in the context of the EU FP7 DREAM project, which seeks to develop supervised-autonomy robot-enhanced therapy for autistic children, in which my focus on the cognitive and behavioural aspects of the robot. Prior to this (and also at Plymouth University), I worked on the EU FP7 ALIZ-E project (coordinated by Prof. Tony Belpaeme), in which I focused on the development and application of a distributed memory system for social human-robot interaction. This work in human-robot interaction frequently takes me into local schools to try out my ideas with children in environments familiar to them, outside of the lab. Please see my Research Details page for more details. Prior to arriving in Plymouth as a Post-doc I completed by PhD at the University of Reading (U.K.) under the supervision of Dr. Will Browne. In the field of developmental cognitive robotics, I formulated a model of a memory-based system that developed through interaction with the environment, which I evaluated on small mobile robots. My general research interests include a wide range of things, such as embodiment, development, and the role of emotions/value in cognition - but my particular interest lies in the foundation of cognition in distributed memory, and the application of this principle to cognitive robotics. Essentially, any mystery of the mind, and its grounding in the brain and body is something I find interesting: both in discovering the unknown, and in applying principles and functionality to cognitive robotic systems. Since arriving in Plymouth, this has been extended to the role of social interaction for cognitive robotics, particularly in the context of Social Human-Robot Interaction. For an outline of the main themes of my research, please see my Research Details page, and also my Publications.